Hey everyone! Here in Arizona the heat in the summer is a killer. We spend most of the summer in the pool. No joke, this week it is going to be 118 degrees. Its just so crazy HOT! Swimsuits are a must have for us in the summer. Each year I will normally get like 2-3 new suits and wear them all the time. Since I spend so much time in the pool I don’t mind spending a little more money on a swim suit. These are a few swim suits that I am loving right now. Now can we talk about beach and pool cover ups. 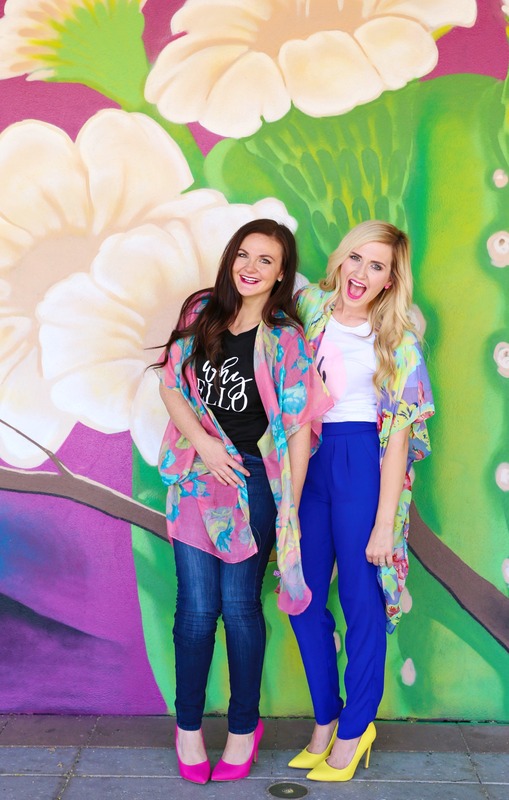 We are loving these Kimono! They are great for a quick and colorful cover up over any swimsuit. Now can we talk about beach and pool wear. 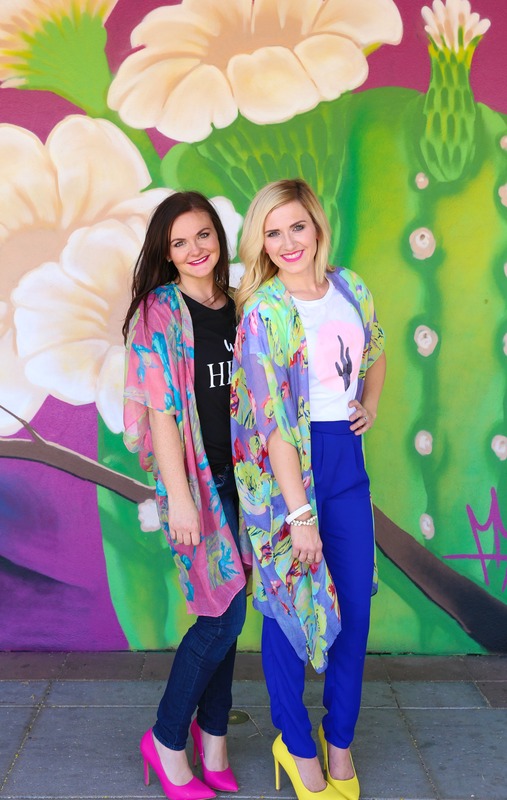 We are loving these Kimono for a quick and colorful cover up over any swimsuit. Now on to our day to day clothes. We are always wanting really easy and lightweight clothing in the summer since we live here and it’s so hot . So nice cool and airy skirts are a MUST HAVE for us. 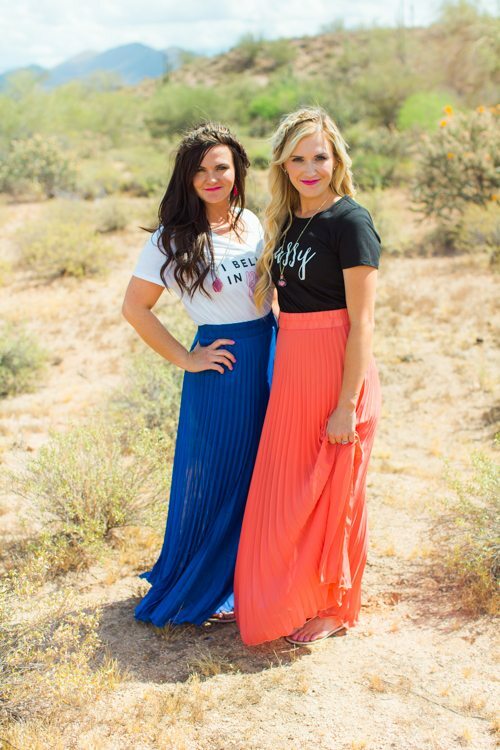 A few of our favorites right now are these skirts that are from our Love grows wild collection that we did for Cents of Style. T-shirts are always a MUST HAVE in summer. 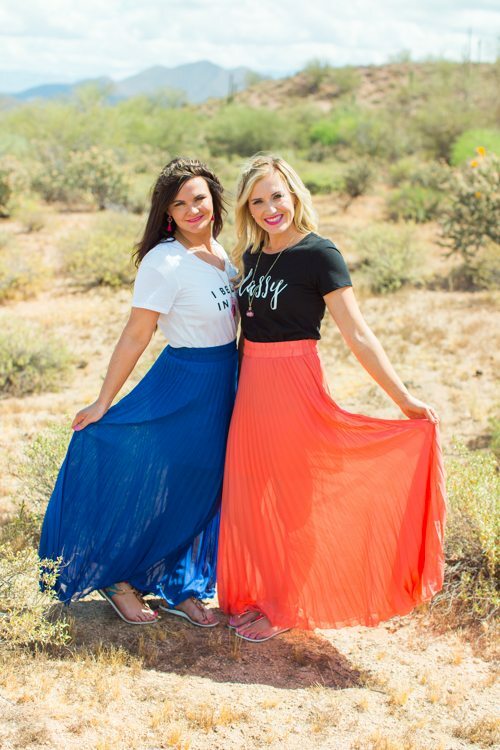 We love to pair our WHY HELLO SHIRT with our favorite floral skirts. They are really comfy and light weight and they can be dressed up with a flowy top or wore a bit more casual with a graphic tee. 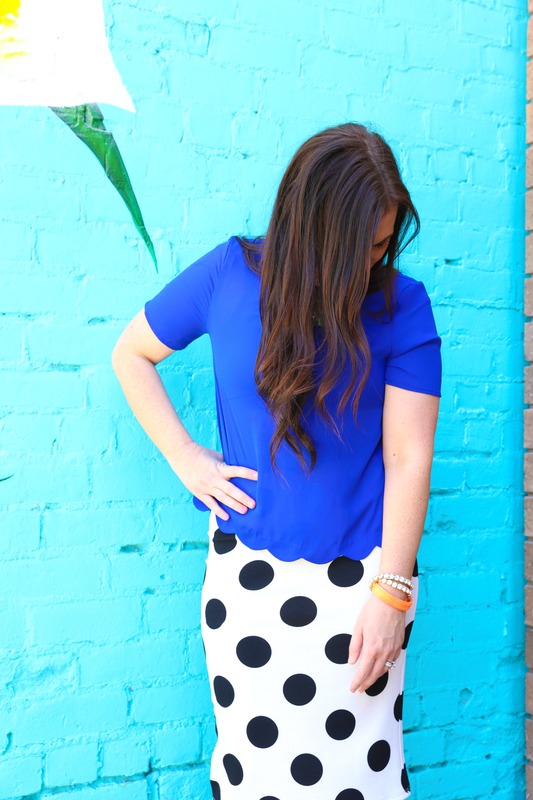 We also love these cute stripe, dot and buffalo skirts. They are really easy to pair with any top and when wearing a skirt, it looks like you put a ton of effort into getting ready. We also love these long pleated skirt. They are super breezy and lightweight. 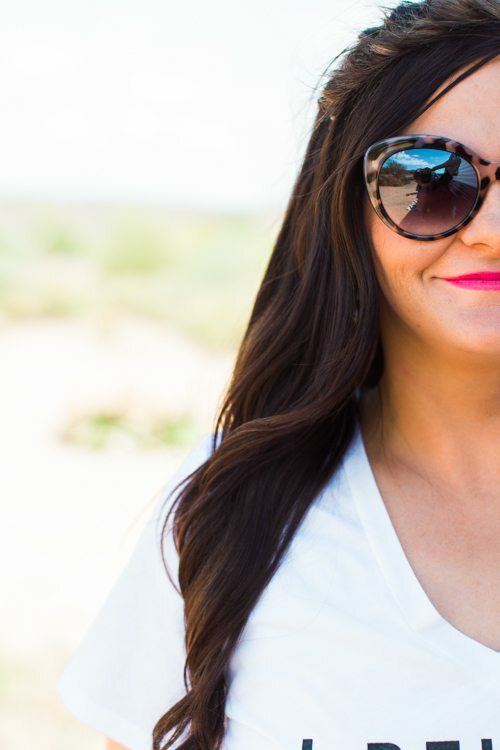 Our favorite sunscreen right now is…. 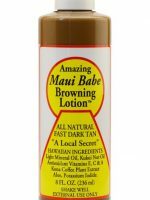 Maui Babe is my very favorite. I LOVE it! 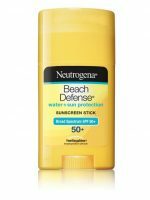 I love the wet skin for reapplying throughout the day and the beach defense has such a nice smell and not a super sticky feel. and then I favorite Sunless tanner is still Fake and Bake. I love the color and I also love how easy and quick it is. Now if we are talking a about getting a spray tan in a booth save yourself some money and get you own set up. 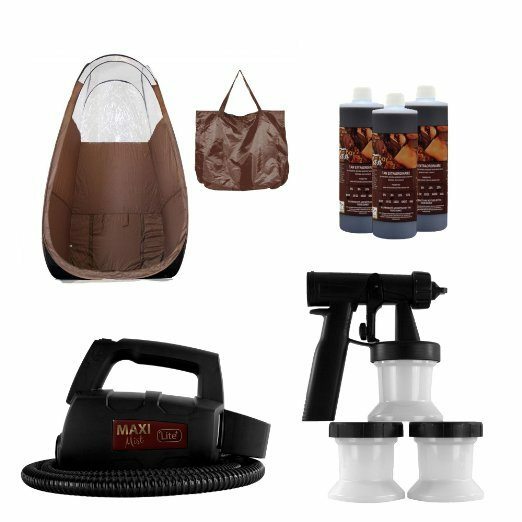 A friend of mine and me went in on a set up together and we have now had if for a few years now and we love it and I always do a spray tan before I go out-of-town for anything. This is the set up that I have.. its has really been worth the money and it has lasted a long time. It is really easy to store and very easy to use. 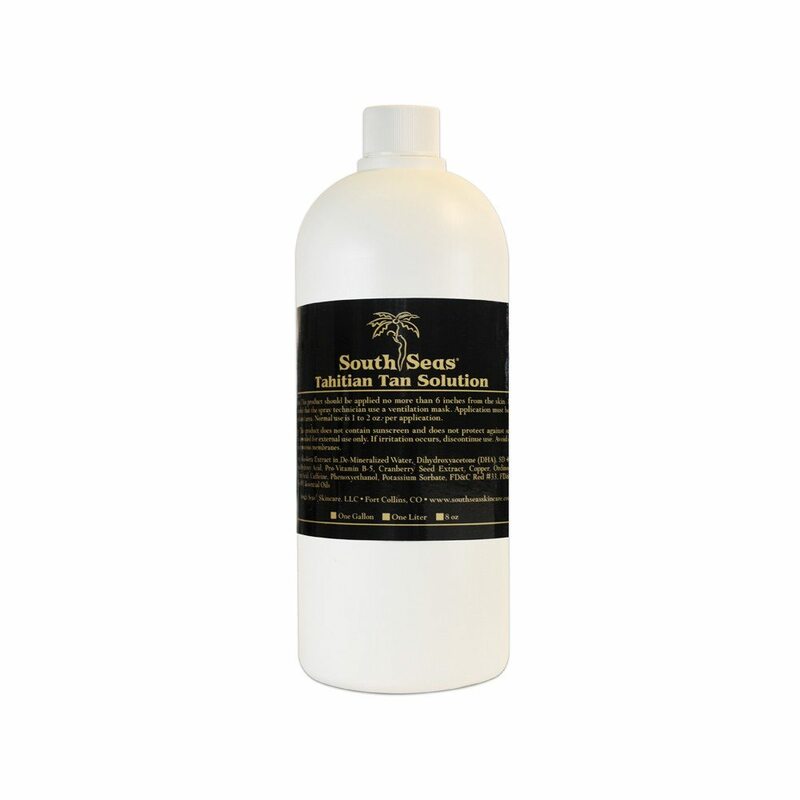 I love this tanning solution the best. It does not have a weird orange tint and I feel like it fades out really good. 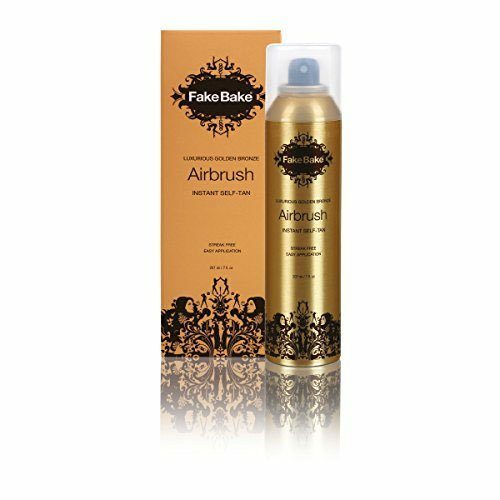 If you want just a fast tanning solution Fake Bake is the way to go! 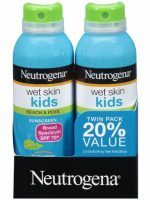 I love this spray and I spray it on my face all the time. 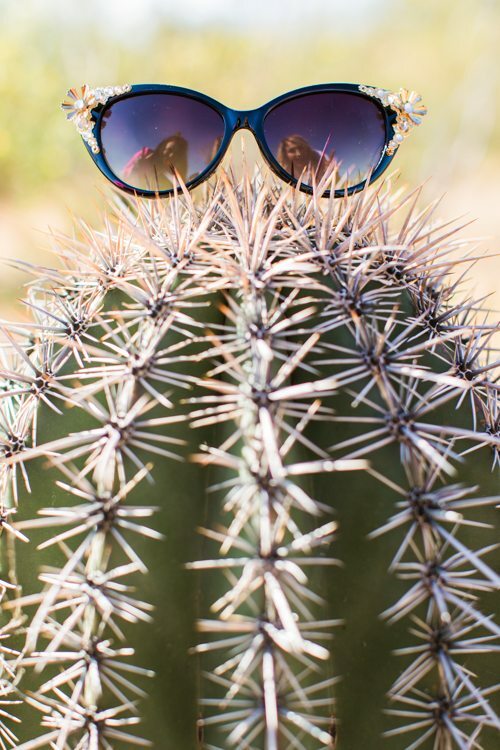 Sunglasses are always really important in the summer and we have you covered with these super cute sunglasses that we have in our Love Grows Wild collection with Cents of Style. 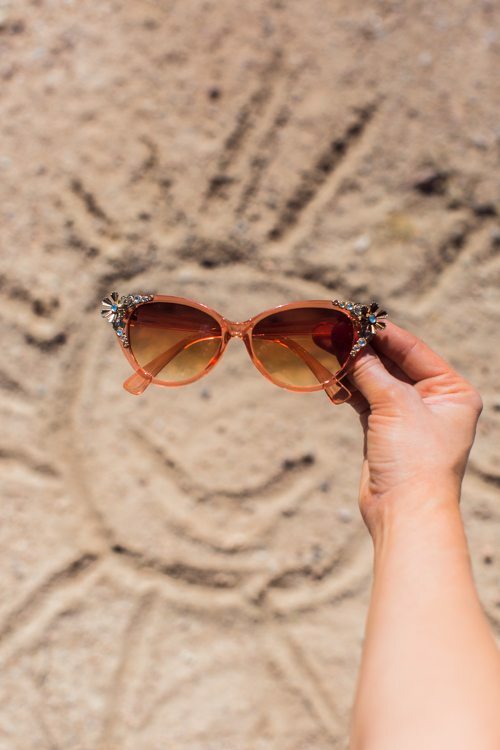 These sunglasses are very affordable and they are all just so much fun. 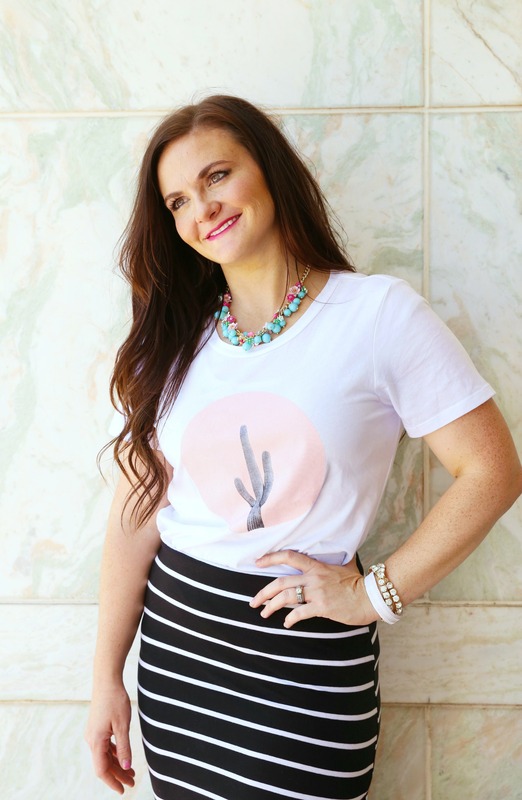 Be sure to go and check out the rest of our Love Grows Wild collection we did for Cents of Style. 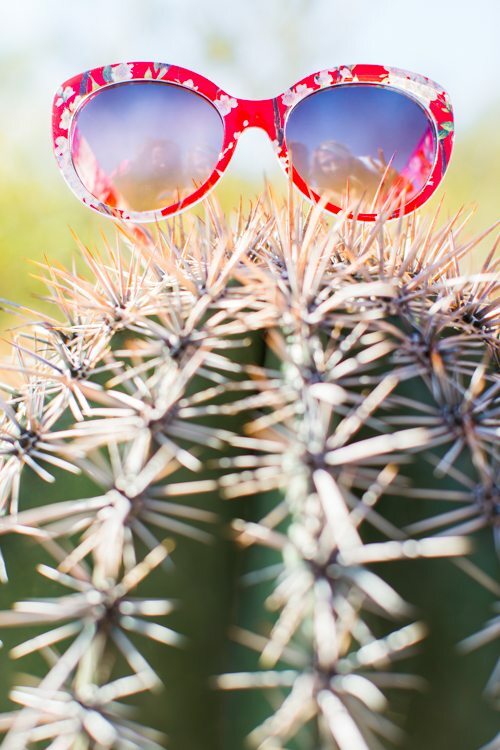 We are loving summer so far… now its off to the pool!